When it comes to the flu, prevention is the best medicine. St. Ann Center for Intergenerational Care is offering flu shots to the public in the center’s two medical clinics beginning on Oct. 2. 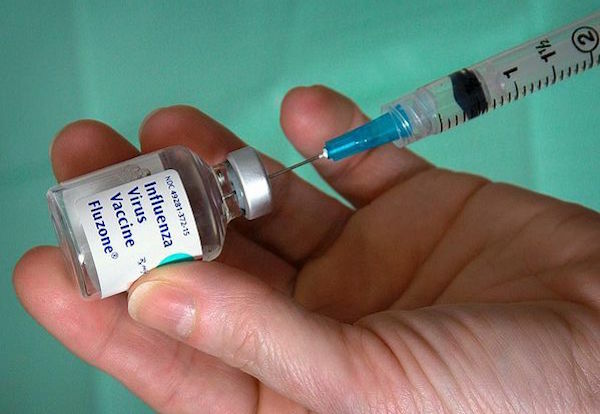 Flu vaccines are available at the Bucyrus Campus, 2450 W. North Ave., Monday-Friday, 8:30 a.m. to 4:30 p.m. and at the Stein Campus, 2801 E. Morgan Ave., Mondays, Tuesdays and Thursdays, 9 a.m. to 1 p.m. At both clinics, the cost is covered by Medicare, Medicaid and Humana insurance; for those without insurance, a flu shot costs $25. Flu season typically runs from October through May. Viruses are spread mainly by coughing, sneezing and close contact. Symptoms include fever, chills, sore throat, muscle aches, fatigue, headache and runny nose. While anyone can get the flu, it’s more dangerous for infants and young children, people age 65 and over, pregnant women and those with a weakened immune system. To make an appointment for your vaccination or for more information, contact Stephanie Ghojallu, at the Bucyrus Campus, at (414) 210-2430; orKathy Schumacher, at the Stein Campus, (414) 977-5022. Serving the entire community, St. Ann Center’s community medical clinics treat a wide variety of illnesses and injuries and offer preventative health exams. To read more about the clinic, visit stanncenter.org/clinic.